Apartment is located in front of the Gaucho Complex. Cozy 2 bedroom apartment, fully furnished, with air conditioning in the bedrooms, a suite with double bed box and bathroom with box and mirror, 1 bedroom with a bunk bed and a triliche (occupy 5 people in this room), another bathroom, living room with flat screen TV (parabolic) + double sofa bed + table and chairs, full kitchen, service area, parking, electronic gate, Wifi, swimming pool, barbecue and private area. 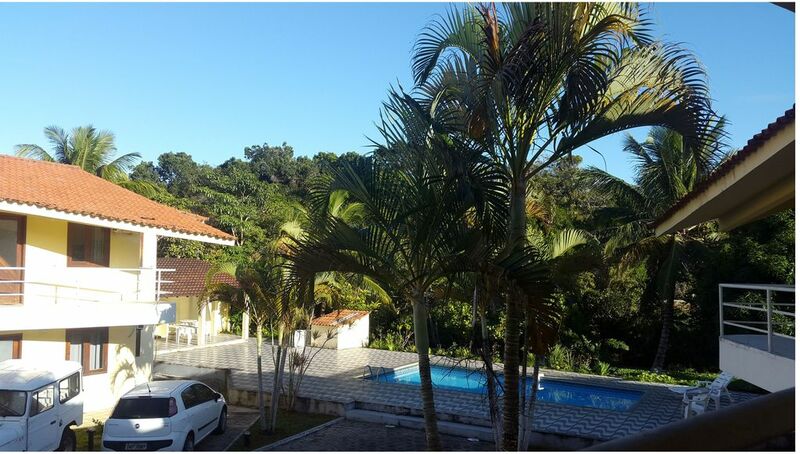 Access on foot to the best beach of Porto Seguro. Supermarket next to the condominium. Apartment with accessibility (ground floor). Creek in the bottom for fishing. Super comfortable and modern. Porto Seguro has several indigenous communities, receptive to tourists (showing customs), discovery museum, alcohol catwalk, carnival, nearby stalls (Axé moi, Barramares, Complexo do Gaúcho, Tôa Tôa), wonderful beaches and paradisiacs. O acolhimento da Leila foi extremamente bom! e o período que ficamos em Porto foi nota 10! super recomendo. Muito obrigada!!! Fico muito satisfeita que tenham gostado! Muito bom apartamento e localização, e a proprietária Miura tbm é atenciosa e prestativa. Minha família ficou encantada com a comodidade do local. Ótimo apartamento, bem localizado, limpo e confortável. Fui muito bem recebida! Indico a todos! Amei nossa estadia foi as melhores ferias , Magda foi muito atenciosa , estava tudo conforme no anúncio, local muito tranquilo, próximo da praia ,perfeito! A Leila foi muito prestativa ,com certeza recomendo ,obrigada ! Our apartment is located 150 meters from the beach with access through the Gaúcho Complex, Ax Moi and Barramares. It is located 10 minutes from the Passarela do Álcool and the handicraft stalls. Access to the beach is by sidewalk and quiet. There is a complete Super Market next to the condo.